'Curtains Close' for FOX TV; Kaali's future hangs in balance..
Certain creative differences between the two producers of Kaali has resulted in a fallout between them.. The buzz is that FOX TV is shutting their production venture in India, after suffering huge losses in the business.. For the uninitiated, FOX TV and Undercover Productions are jointly producing the issue based show on Star Plus, Kaali Ek Agnipareeksha.. And this means that FOX is withdrawing support from Kaali. If sources are to be believed, there were huge creative differences between FOX and Undercover Productions, which resulted in a fallout between them. The buzz is also that FOX TV has incurred a loss of nearly 5 crores from Kaali. An insider tells us, "There were lot of issues in the way the creative team functioned, and this resulted in huge production losses. As of now, the process of handing over of functionality to Mrinal Jha and Abhigyan Jha's Undercover Productions is going on. FOX will be moving out of the entire setup by 20th of this month. That means clearance of all kinds of dues has to be met by FOX before they get out of the picture". If this is not enough, we hear that some actors have expressed their stern opinion that they would not be part of the show if FOX TV does not remain in the frame. This has yet again raised a question or two over the future of Kaali. Our source further informs, "Kaali which was to end in February, has already got an extension of one month, and will now go on till March end or early April. However, if the smooth handing over does not happen, and if prime actors fail to continue, the show might see its end pretty soon". However, actor Ashutosh Rana who is one of the pillars of the show remained clueless of such a development on the sets of Kaali. "I have had a great journey with both the production houses. As an actor, I have got creative satisfaction from Undercover Productions, and FOX TV gave me good financial commitment. And I am unaware of FOX moving out of the frame, as I got my cheque from them just yesterday". Ask him whether he would like to continue with the show if FOX steps out, he says, "All I can say is that Kaali has got an extension and is on till March end". When contacted, Producer Mrinal Jha told us, "Yes, FOX is stepping out, and the process of handing over is taking place as of now". Ask Mrinal about the future of Kaali and she states, "The show was always meant to be a finite one". Let's now wait to see whether the show has a smooth run from now on..
Nia Sharma turns HOST for the first time; Keeps Her Style Game On Point! Sushant Singh NOT to be part of Savdhaan India; THESE popular actors to replace him! Actress Swati Kapoor bags THIS Zee TV show! 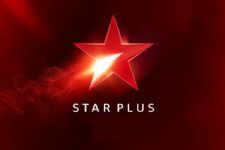 This Star Plus actor is all set to make a COMEBACK to TV after 6 years! A good showKali is one of the few good shows on SP with great talent It's topical without being overly dramatic. Wishing luck to the producers to bring it to a natural closure, and not some abrupt ending. you know, this is a really good piece of serious drama - it is a major shame that the fallout could impact how the drama will pan out - more shows like this, making the most of the talent they had, should be aired. Hope all works out well and we who appreciate it dont get short changed. Kaali is one of the Best Shows I have ever watched. It is realistic, based on important issues & a eye opener. I feel it is quite underated bcoz of its late timings. kaali is really a gud show. i feel more shows like this should be made.